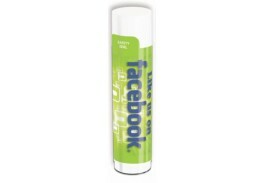 Organic products become more popular every day, and promotional lip balm is no exception. Made in the USA with 95% organic ingredients including organic beeswax, organic extra virgin olive oil, organic hemp seed oil, and organic essential oils of peppermint and spearmint, this custom organic beeswax lip balm comes in Mint Burst with a white or clear cap. Along with your full color imprint, this flavored organic chapstick makes a great giveaway for tradeshows and marketing events, and is perfect for doctor or dentist offices, spas, gyms, and other health related campaigns. The USDA Certified Organic Seal is not included with this item. 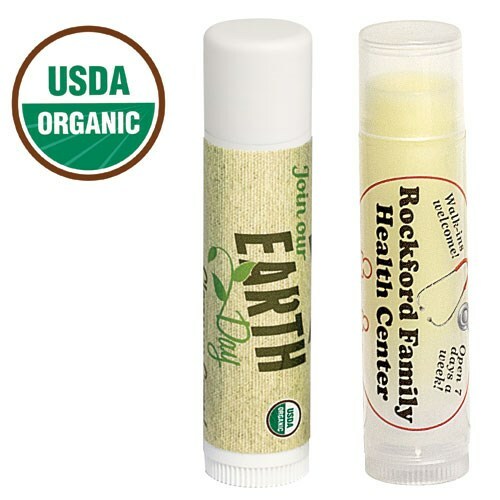 Please see our certified organic beeswax lip balm if you would like to order this product with the official seal.